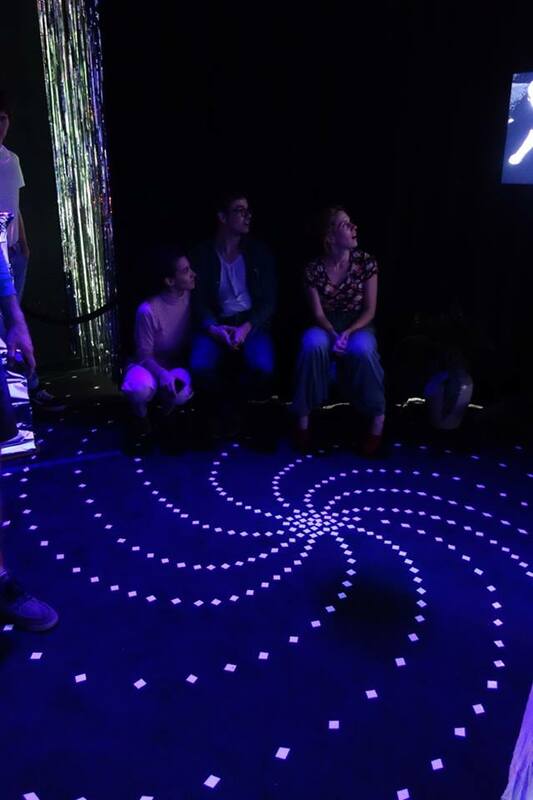 An immersive karaoke environment that gives the individual the freedom to choose what song to sing, allowing them to react in a vulnerable situation by not knowing the music / lyrics beforehand. The musical genres presented will be familiar-sounding to the listener since the inspiration for the work is derived from 1990’s pop culture in the music scene, such as Grunge to Boy Band Pop. The space creates intimacy through its size and through the use of headphones. With the headphones the only thing that would be audible would be the potential singing or laughing from the individual participating. This work also offers a social commentary through direct voluntary experience of narcissism.